Get Today in Masonic History into your Inbox. Sign up today for one of our email lists! 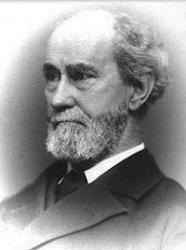 Today in Masonic History we present The Model Mason by Rob Morris. This poem was dedicated to Brother Phillip C. Tucker, Grand Master of the Grand Lodge of Vermont in the late 1850's. All honor to his name! All honor to their name! Select a date to see previous posts. DISCLAIMER: This site is for entertainment purposes only. Information about individuals posted on this site, alive or dead, does not constitute an endorsement of any views stated on this site by said individuals.